Balance is a painting by Sundara Fawn which was uploaded on July 15th, 2010. 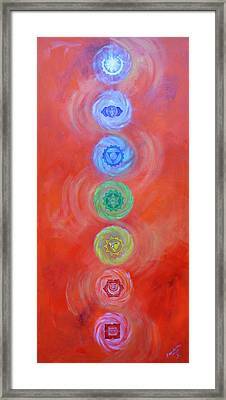 Chakra system in perfect balance. 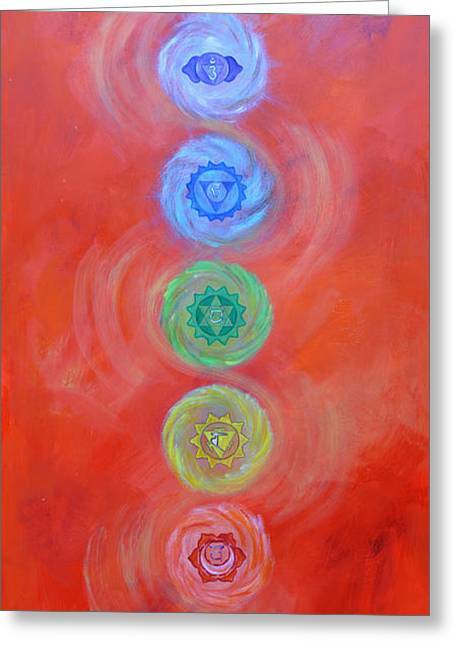 When our chakra system is balanced, we as physical beings feel in balance as well. This painting reminds one to go within and learn methods in keeping our system flowing in peace. Congratulations on your sale Sundara!! Nice chakra interpritation! Congratulations on your sale. Awesome balance of colors with most attractive presentation ..
Nice colors, Sundara. Congrats on the sale! Sundara,good job intergrating the background with the chakras.It always makes me laugh,when i consider how much work is involved making something look graceful and effortless ! Bravo !